Findings of the report are analyzed in the light of UNCRC’s four core themes: Child Rights Governance, Child Protection, Education and Health. Overall, the CRSA reveals a dismal state of child rights in three districts. The implementation of laws related to prohibition of child marriage, child labor, corporal punishment, and child sexual abuse was missing. Children with disabilities, children from religious minorities and other disadvantaged groups were living a life without basic rights to protection, development and survival. It is an inclusive work on child protection which tremendously elaborates every sphere of child rights, ranging from international to very local laws and mechanisms of protection. 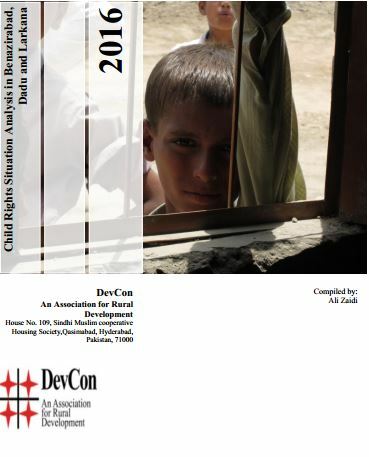 It is hoped that this manual will serve as a core document for capacity building of local activists, civil society organizations, line departments and professionals. 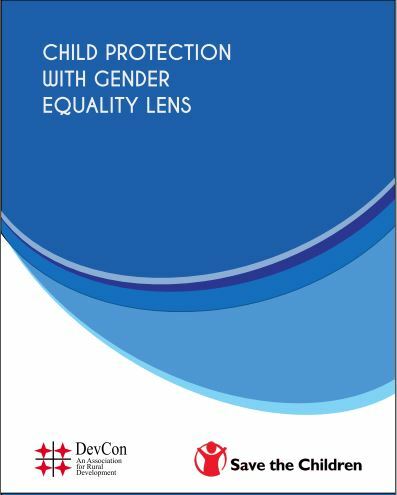 This guide will also be helpful to formulate advocacy strategies for the promotion and protection of child rights. 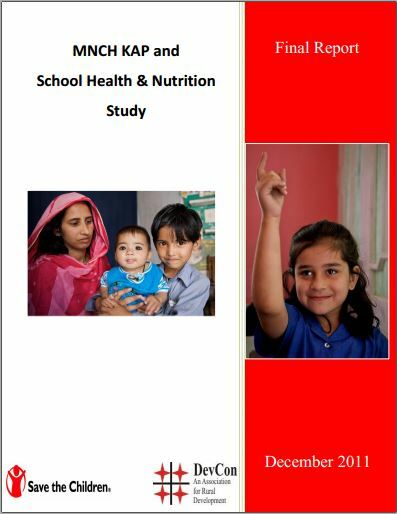 The incidence of childhood diseases such as worm infestation and micronutrient deficiencies like vitamin A, iron and iodine along side with diarrhea and acute respiratory tract infections is high and children’s health is made worse by poor nutrition. 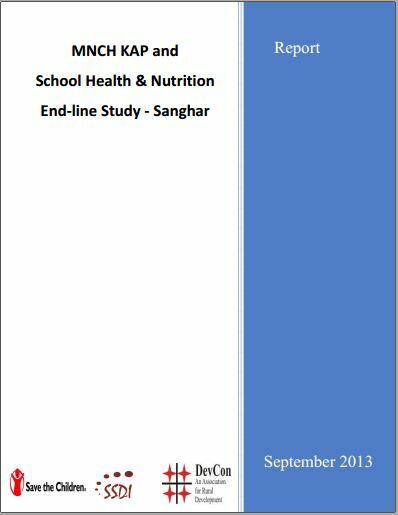 This study was conducted in Sanghar district of Sindh as part of Child Rights project. The overall objective of the project is to ensure that all children in cotton growing districts of Pakistan exercise their right to a healthy and secure childhood with access to education. In collaboration with IKEA Social Initiative, DevCon in partnership with Save the Children initiated a Child Rights Program in district Sanghar in Sindh province, Pakistan. The overall objective of the project was to ensure that all children in cotton growing districts of Pakistan exercise their right to a healthy and secure childhood with access to education. This End-line Study was conducted as a part of the programme initiative.